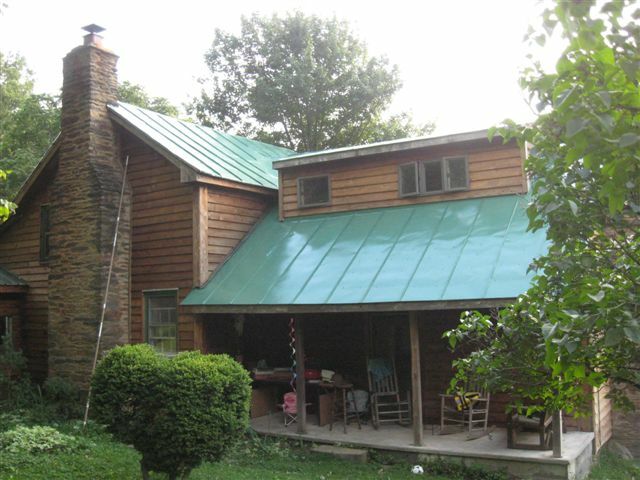 When we finally got around to repairing the 100+ year-old metal, standing seam roof on our 225-year-old American chestnut post-and-beam log home in the Blue Ridge Mountains of Virginia, we researched lots of paints looking for one that was environmentally friendly, durable, long-lasting, easy to clean up and attractive. It was a hard search. We considered lots of paints. And then we chose Induron’s Aquanaut II. The prep work was the most time-consuming and hardest part of the project, but we knew it was one-time thing. We’d chosen paint that would make that happen. After pressure washing, scraping, wire brushing, sanding and finally priming some 6,000 sq.ft. 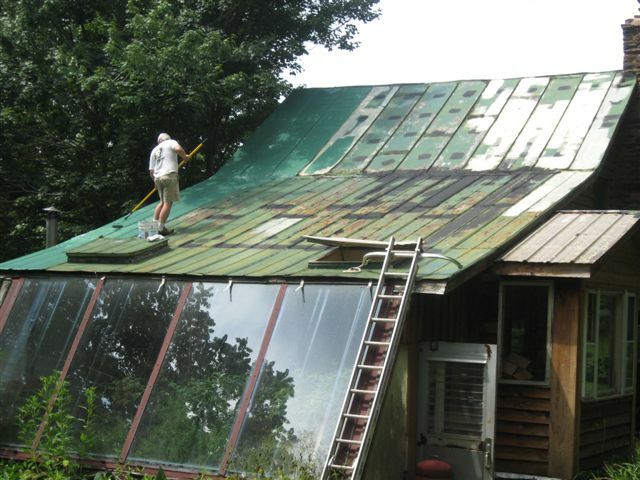 of metal roof, we were ready and eager to begin painting. Rolling that Induron onto the roof was almost fun…sounds crazy, but by the time we got to painting, it was sooo easy, went on so smoothly, it was fun when compared to the prep work. We knew the hardest part of the job was over and the final stage had begun. We were looking forward to seeing the newly repaired, sealed, re-worked standing seam roof take on a new life with the sage color we chose. In fact, there are four out-buildings, one with more roof area than our house, and it was looking so good, we did those as well. End of story. Combined with Induron’s sage paint, our house looks immeasurably better and is withstanding the weather well.